Tags: #Awards, Apply! 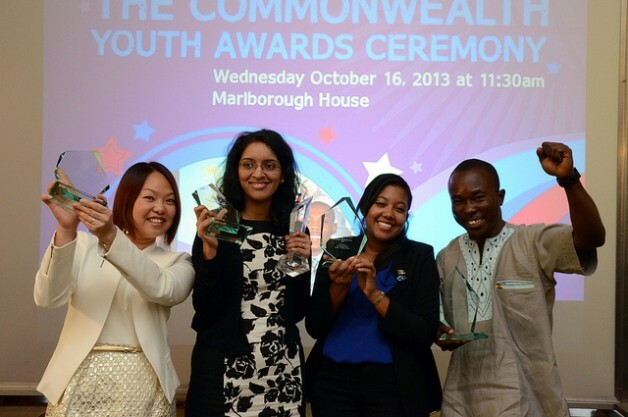 2015 Commonwealth Youth Awards for Excellence in Development Work, Commonwealth, Commonwealth community, Commonwealth Students Association, Commonwealth Youth Award winner, Commonwealth Youth Award., Commonwealth Youth Awards for Excellence, Commonwealth Youth Awards for Excellence in Youth Development Work., Commonwealth Youth Programme, Your Commonwealth, Youth Development Work. The Royal Commonwealth Society and its partners the Queen Elizabeth Diamond Jubilee Trust and Comic Relief are looking for up to 12 young adults aged 18-29 from across the Commonwealth to join our Advisory Panel! This is a one-year voluntary placement (October 2014 to September 2015) that is home-based but will include one international meeting in mid November, probably held in London, as well as virtual meetings. As a panel member you will contribute meaningfully to the decision-making processes of the Queen’s Young Leaders’ Programme by advising on how best to achieve the goals and outcomes on the programme. You will ensure that the development and delivery of the Queen’s Young Leaders’ Programme is of the highest possible quality by representing the views and interests of young people. One of the main roles is to short-list by reading, assessing and commenting on applications for the Queen’s Young Leaders Awards and Grants. Panel members will receive training and support in their role as well as gaining vital experience at board level. For this role as a panel member you will be articulate and willing to get involved and have sufficient time to give for the role. We are ideally looking for people who have already had some previous committee or board experience, and we require panel members to have excellent relationship building skills and previous experience working or being involved in at least one of the Programme’s priority areas: youth-led social action, youth voice and participation, youth employment and enterprise. The working language will be English. You must be a citizen of a Commonwealth country. We are looking to recruit volunteer members from all regions of the Commonwealth. Please follow the link for a pdf Job Description and more information. If you are interested in applying for this position please send a CV (2 sides of A4 paper maximum) and either a covering letter (400 words) or a URL link to a short 90 second video to recruitment@comicrelief.com quoting ref: CR1471 QYLY Panel Member in the subject line. Your application needs to outline your relevant experience and suitability for this role as well as clearly stating your nationality and date of birth and providing 2 referees. The deadline for applications is 5:00pm (GMT) on Monday 18th August 2014. Commonwealth Businesswomen (CBW), is launching its inaugural search for the Commonwealth Women Entrepreneur of the Year. The Award seeks to celebrate the achievements of female entrepreneurs and business leaders across the Commonwealth. We want to hear inspirational stories of women making a difference across the Commonwealth in any area of business. The winner will be flown all expenses paid including three nights accommodation to Sri Lanka in August 2014 and will act as a Brand Ambassador for Commonwealth Businesswomen until the Commonwealth Heads of Government Meeting in Malta in November 2015. To nominate yourself or another inspirational woman, visit http://www.awards.cwbusinesswomen.org and submit your short online application by July 7th 2014. Anyone residing in one of the 53 Commonwealth countries can be nominated.